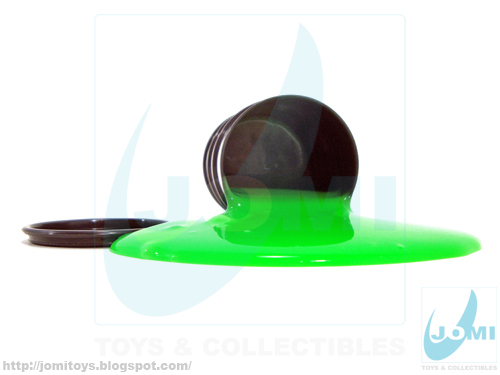 Remember Blandi Blub? 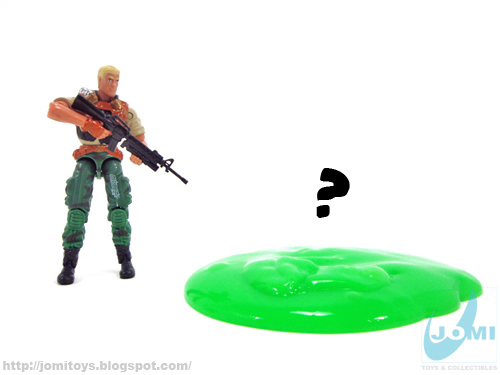 That cool (usually green) yucky slime from the 80s? 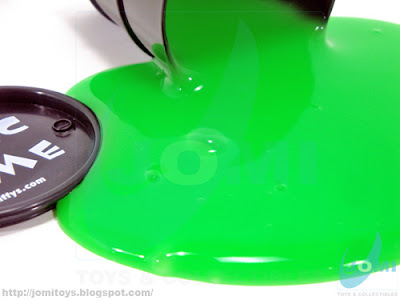 In 2005, Smiffys (UK) brought back the concept although slightly modified resulting in a more consistent... well, slime. Wether you needed a replacement slime for your MOTU pits, or just joke around with friends, this would do the trick. 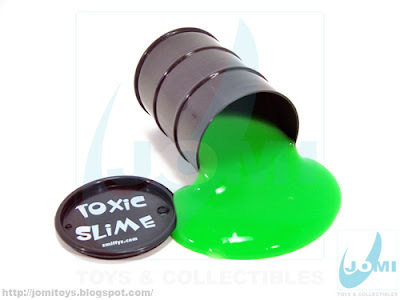 Even smells like Blandi Blub! 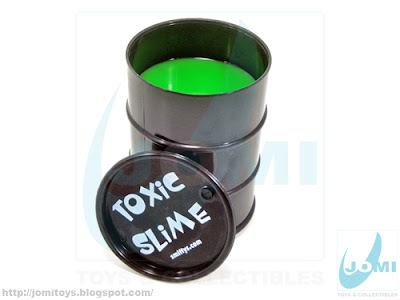 Comes in a very cool oil drum, which you can use for your 5" to 7" figures. 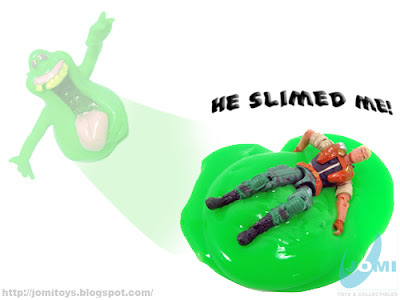 Not to be confused with Smiffys Mega Slime (in different colors), this is arguably their best effort. Although I have yet to see how their Alien Oil Slime (radioactive = glows in the dark). It actually holds perfect for a long time since the drum can close airtight (almost). Great slimy stuff! Smooth and... yucky! I love it. It better not be real toxic made materials because it can harm your children. 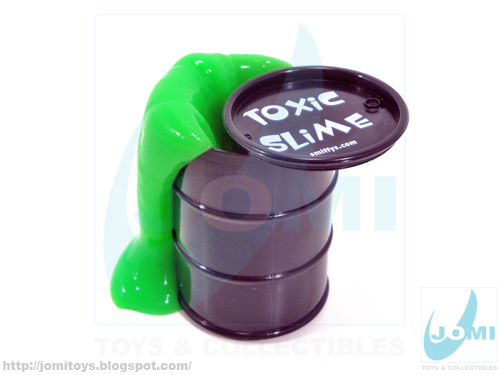 I just heard news that some toys have high rates of toxicity.